This topic is primarily about in game mechanics. I didn't made this kind of mechanic or seen one before. So I would appreciate if you send your genuine Opinions&Suggestions here. Does it work ? Is it too hard to control ? Feels too clunky than intended ? Let me know. For those who don't know, game is about controling a mech with hands. minimal shortcut buttons. Right hand mouse, left hand keyboard. I just had a couple of goes at it, managed to get to wave 5, its quite an interesting mechanic tbh, makes what would be a normal shooter a bit more complicated. I did enjoy it, I felt like I was more focused on controling the mech than anything else. That being said I didn't feel like it was too overwhelming, I was able to still survive (If not that long) and learn how the mech worked. Maybe its just because im right handed, but I felt like it was easier to use the mouse than the keyboard, So I ended up using the mouse for all the buttons instead tying to use WASD for the left 2 buttons. I think some adjustments to the buttons might need to be made, I found myself clicking the button around 3/4 times before hitting the right part and activating it. I think it works tbh, its something new and interesting. Would like to see more! wave 5 is pretty good. The game is hard. My record is wave 6. You probably realized Mech is very tanky. it is designed to make it easy for player to focus on mech than outside world. At first draft we made melee and moving was manuel too but decided to cut it out because it was too overwhelming. Changed it with shift and mouse hold buttons. looks like it worked well in that regard. Second hand doesn't really help except one or two specific situations. 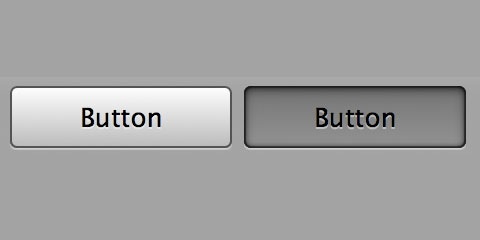 You get used to buttons after some time and do it in one go But you are right buttons are bit unresponsive and clunky. Thank you for feedback it really helps. Oh by the way since you look most available right now I want your suggestion on something. Do you think holding with shift and right mouse constantly is hard/exhausting ? Do you think press would've been a better choice ? What do you think about it ? I did like that it focused on the mech, it gives the game a different feel to another survival wave game, that being said it is true, you do get the hang of it after a few goes. Will the mechanics also be getting more difficult as the player progresses in some way? As for whether holding shift and the mouse being hard or exhausting; I didnt find it particularily difficult and personally I found it made the mech feel more interactive. If you let go of the button its like you're letting go of the Mech's sticks, it makes it more important, I would but up for trying a 'press to activate' but I have a feeling that it will feel too easy then, or at the very least a little less interactive. If that happens, it probably would be a more rewarding way. More complication, better weapons, armor or utility etc. Yeah it helped. Thanks again. That sounds good, will be interested to see how it turns out! I think you should have more symmetry in your Hud layout. Keep everything that is news straight infront of the player, wave complete all that sort of data. 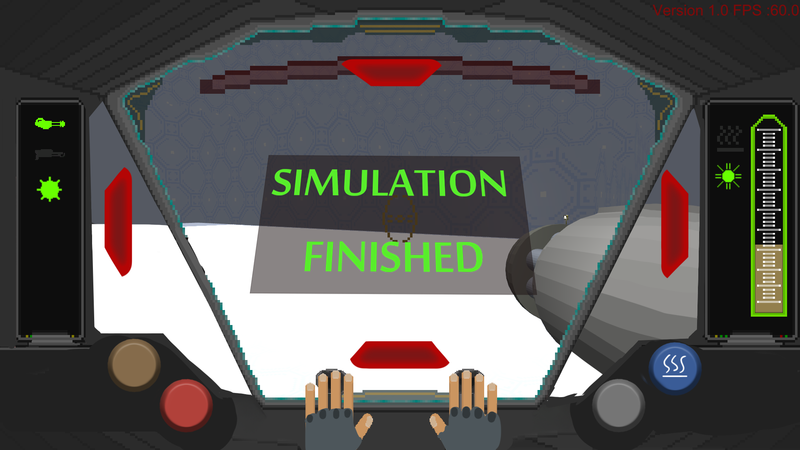 Simulation complete all those things you can just get up infront of the player to keep them notified properly. Maybe also score the player live infront of the player. The buttons are hard to hit i suggest just making them Circles. they read better and are easier to hit. If you make them look pressed you wont need an ON OFF text, Usually its really good to have text in your HUD But in this case i think making graphics that emulate a button being pressed is easier and faster to read, You have to be a complete alien if you cant read that on is when its down. For me personally i would like the screen to show more of the actual game, any screen space estate lost is a loss in readability, I know what the point of this is but i think you could open up a bit but still keep the Cramped feeling of a mech, better readability whiles still keeping to the concept. Also show the melee hand on the left side aswell, I had to read i could do melee damage but i undesrtood i could shoot because of the gun on screen. The game mechanics are Fine i guess but im pretty sure most will use the mouse as an interaction inside the mech since it has great control for doing small edits. I think the buttons should self reset when a function is done, I will never not have the cooldown Go all the way down when im doing it. I Wish that the gunplay would be alittle more fun. I guess the running on a flat surface in a circle kind of gets alittle dry after a a while, Maybe have some smaller choices of elevations to reach ramps heightened areas too shoot from i think that would feel more involved. Does it work was the question. Both yes and no i guess. it works as a simulation but as an actual immersive game i guess you will need to find something more substantial to do in this game than just slaying bugs.Maybe having you protect a section of the map. where you need to fly there and use your mechanics to traverse a bit. bugs attack you and that area. I'm not sure it just feels A little hollow. Cool idea though and it's pretty impressive overall, I'm just missing that feeling of this is fun to do. it was more like an early prototype. The game didn't get the attention we wanted so the project is closed. Still, thank you for feedback. it will be useful in future projects.